The Rogue River Trail was built over 100 years ago for pack mules to carry supplies to gold prospectors. Now, the 35-mile trail follows the whitewater section of the Rogue River through the wilderness. Along the way it passes miner’s cabins, western writer Zane Grey’s homestead, aquamarine swimming holes, and cliff jumps. In Mule Creek Canyon, the trail is blasted into the cliffside directly above the rapids. There are beautiful views of waterfalls cascading into the river, and it’s a vantage that all the rafters crave. Maybe the most unique part of this trail is that it accommodates such a wide variety of users. Long distance trail runners love the mellow grade, older hikers enjoy hiking with a daypack between lodges to enjoy wilderness by day and a lodge-bed by night, and backpackers with a fly rod can spend days along the riverside. Whatever you do, don’t miss the Tate Creek Slide. It’s a 20-foot long natural water slide that launches you into a mossy pool. You need to be weary of black bears and poison oak, but otherwise the Rogue is a surefire winner as one of the best river hiking trails in the country. The Wilson River is a rain-fed river in the Coastal Range of Oregon. It’s in Tillamook State Forest which is only 45 minutes from Oregon’s largest city, Portland. Given the proximity, it is surprising how uncrowded sections of the Wilson River can be, in particular, the 23-mile route known as the Wilson River Trail. It begins at Jones Creek Campground, which is a homestead on the banks of the river. The pinecone-strewn trail follows old logging roads through a temperate rainforest that was heavily burned 60 years ago. Slippery roots from Douglas firs sprawl across the path and cedar tower overhead, while sword ferns and mosses carpet the understory. You can’t be blamed if you start expecting to see gnomes and fairies in a forest like this one. This 26-mile singletrack along the ice-blue McKenzie River is heralded as one of the best mountain bike trails in the country. Most riders choose this as a downhill, with a shuttled car waiting for them at the end. The trail begins near Clear Lake and enters a technical section of singletrack through old growth forest. Roots, ledges, and sharp volcanic rocks all make dismounting a good option at times along the upper stretch, but it’s still worth it. The McKenzie scenery keeps you guessing as the river disappears beneath the ground for a few miles, only to reappear at the robin egg blue Tamolitch Pool. You’ll cruise past the photogenic Sahalie and Koosah Falls, and if your bones feel rattled and your muscles feel worn you can soak in the riverside hot springs. Between the challenge of the trail and the beauty of the river, you’ll understand why the McKenzie River Trail is considered the best within those first few cranks of the pedal. The 23-mile Deschutes River Trail serves up the best of what eastern Oregon has to offer. It’s dry, expansive, and often quite warm. The trail begins at Heritage Landing on the Columbia River, and follows an old railroad grade up to Mack’s Canyon. The hot sun and scarce shade make this a great hike any time but the peak of summer. In many places the trail has a grand view of the river and the canyon. It’s common to spot bighorn sheep among the cliffs, rattlesnakes sunning on rocks, and rafters powering through the large rapids. It’s not difficult to find a great place to camp beside the river in the numerous campsites. 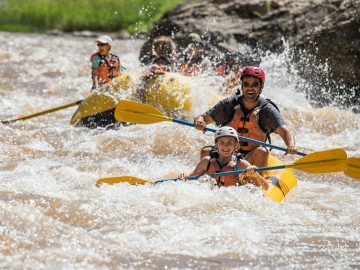 Many, like Colorado Camp, are alongside some of the largest rapids on the river. 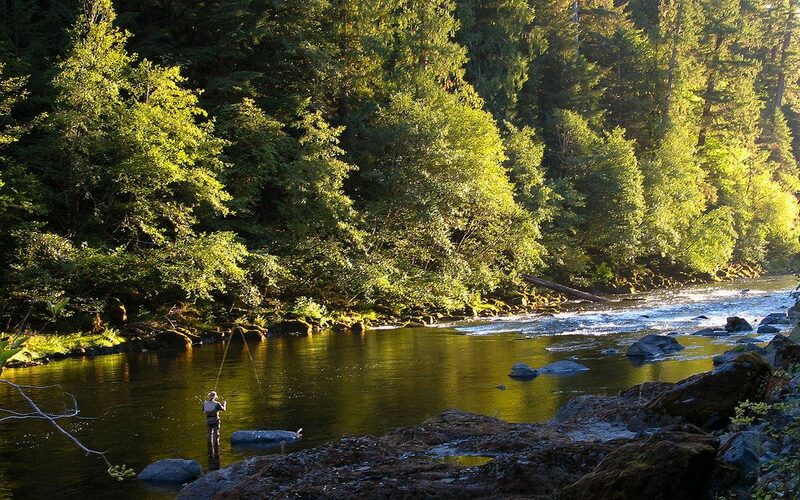 There’s ample fishing opportunity for steelhead, salmon, or trout, and the Old West ambiance with the Santa Fe Railroad in the desolate canyon will leave you questioning if you are really still in the Pacific Northwest. 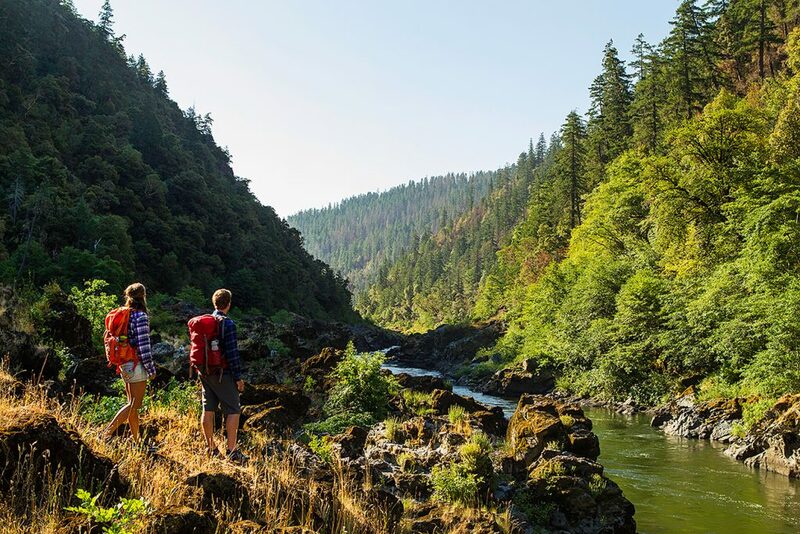 The North Umpqua Trail is the granddaddy of all Oregon river trails. This 79-mile undertaking is separated into 11 different sections so you can do “The NUT,” as it’s affectionately called, in sections or all at once. 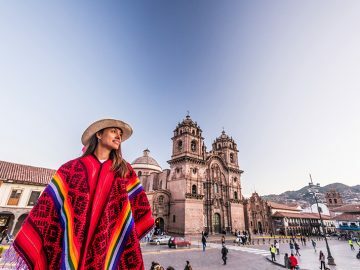 There’s a little something for everyone. Mountain bikers rave about the 16-mile Dread and Terror section where sheer cliffs drop into whitewater far below. Other sections, like Deer Leap, are etched into the columnar basalt leading to the beautiful, two-tiered Toketee Falls, and to the Medicine Creek Indian Pictographs that are over 250 years old. The Mott section is popular with fly fishermen in “Fly Only” water near the fabled Steamboat Inn. 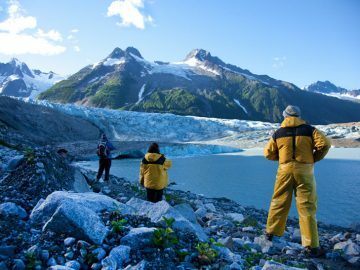 But that’s not all, there are 108-degree hot springs, fresh springs to fill up your Nalgene, lakes for a refreshing swim, and more beautiful sights of the jade river twisting through the rugged, old growth canyon than we care to mention.